This entry is part 3 of 3 in the series Belgium Travel Guides. 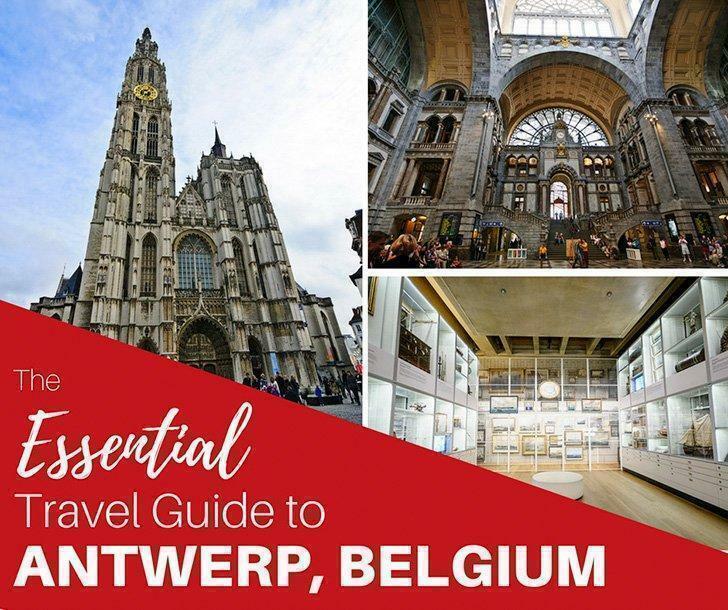 We share our itinerary for the best things to do in Antwerp Belgium including the best hotels in Antwerp, great Antwerp restaurants, the top tourist attractions, and even where to buy the best Belgian chocolate in Antwerp. 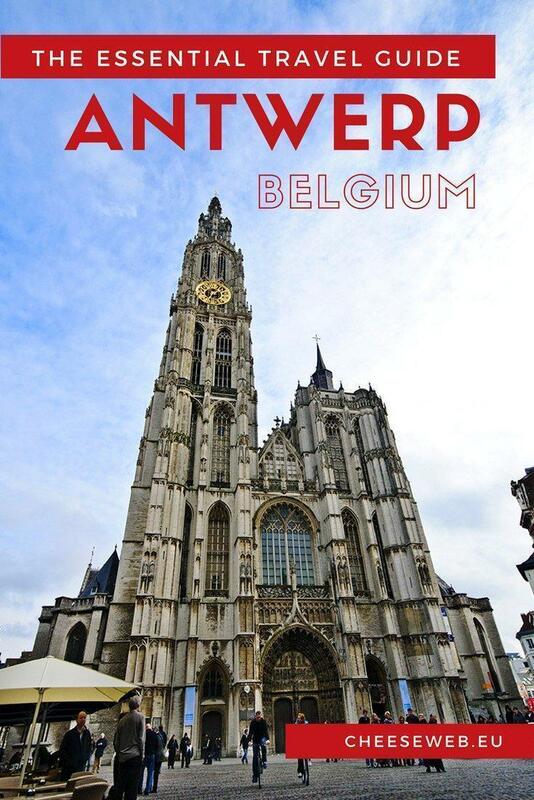 Don’t visit Antwerp with reading this travel guide! You wouldn’t think a city, a mere 30-minute train trip from Brussels, would be vastly different than Belgium’s capital, but visiting Antwerp feels almost like entering a new country. Besides the obvious language differences, you will also find variations in the food, architecture, fashion, and overall atmosphere of the city. Antwerp has so much to offer the visitor; be it for a day-trip, a weekend getaway, or a more extended stay – a lively nightlife, great restaurants, world-class museums, stunning architecture, excellent haute couture shopping and an excellent zoo for the children (and kids at heart). We’ve written extensively about Antwerp, the city and the province, and this article rounds up our favourite things to do in Antwerp, including the best museums, hotels, restaurants, and day-trips from this gem in Flanders. With our handy insiders’ guide, you don’t have to wonder what to see in Antwerp Belgium any longer. If you plan to visit a number of Antwerp attractions, be sure to purchase your Antwerp City Card in advance. Cards are available for 24-72 hour time periods and include admission to museums, churches, and other things to see in Antwerp, The card also provides free public transportation as well as a city map and exclusive offers and discounts at local businesses. If you’re seeking Antwerp points of interest, your first stop should be the Grote Markt. If you’ve spent any time in Belgium, you know the heart of a city is its Market Square or Grote Markt in Flemish (Grand Place in French). 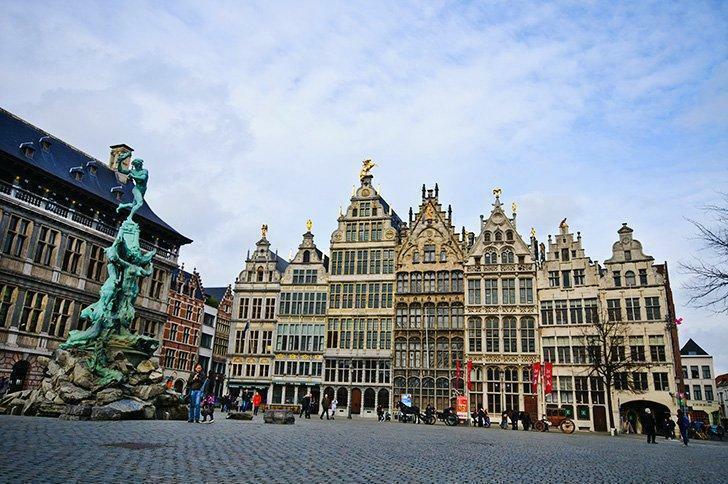 Antwerp’s Grote Markt is a beautiful example, with its Medieval guild houses and stunning City Hall building. Here you will also find the rather gruesome statue of the hero Brabo slaying the giant, Antigoon. Legend has it, Antigoon forced everyone who passed on the river Scheldt to pay a toll. If they refused, he cut off their hand and threw it in the river. Silvius Brabo, a Roman soldier, killed the giant and tossed his hand into the Scheldt. The name Antwerp is said to have come from hand werpen (hand to throw); although it is argued an ‘t werf (on the wharf) is a more likely root of the city’s name. Onze-Lieve-Vrouwekathedraal (The Cathedral of Our Lady) is a UNESCO World Heritage site and one of the top Antwerp attractions. Walking past the Grote Markt, away from the river, you’ll find yourself at the base of the Onze-Lieve-Vrouwekathedraal (The Cathedral of Our Lady), one of Belgium’s UNESCO World Heritage sites. Its Gothic spire stands over 400 feet tall and can be seen peeking above the city’s rooftops. The cathedral’s interior is breathtaking and includes paintings by Baroque painter Peter Paul Rubens. Take a moment to say a prayer, or simply enjoy the quiet splendour of this magnificent place of worship. Despite its location in the middle of the northern half of the country, Antwerp is a port city – one of the largest in Europe, and as such, has an almost coastal vibe. The Scheldt riverside, just beyond the city’s Grote Markt, is a favourite spot for locals to stroll or sit and watch the busy barge traffic. Although some of Antwerp’s port area remains rough and industrial, many of the riverside neighbourhoods are experiencing a revival. Trendy restaurants and boutiques are opening their doors here, and waterfront condos offer luxurious accommodations for local urbanites and visitors alike. 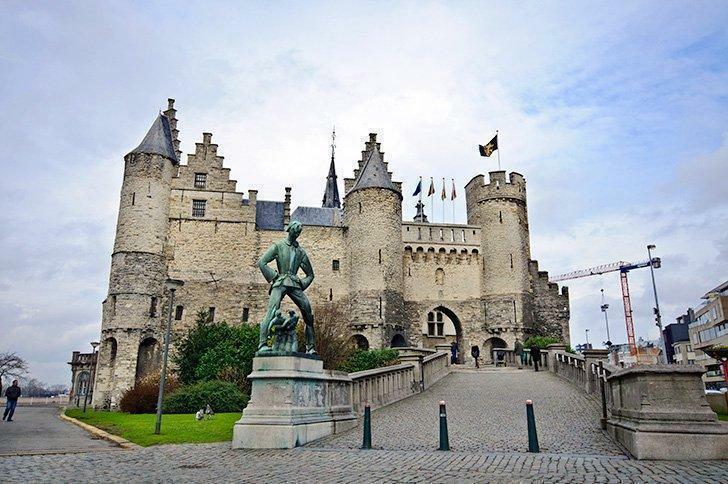 Het Steen Castle is the oldest building in the city and one of the top things to see in Antwerp. Here you will also find Antwerp’s oldest building, the medieval castle, Het Steen (the stone), once the home of the city’s shipping museum, which has since moved to the MAS Museum (see below). In front of the castle is a statue of the giant, Lange Wapper, a Flemish folklore baddie who liked to trick and tease the locals. Behind Het Steen is a memorial to the Canadian soldiers who helped liberate the city during WWII. 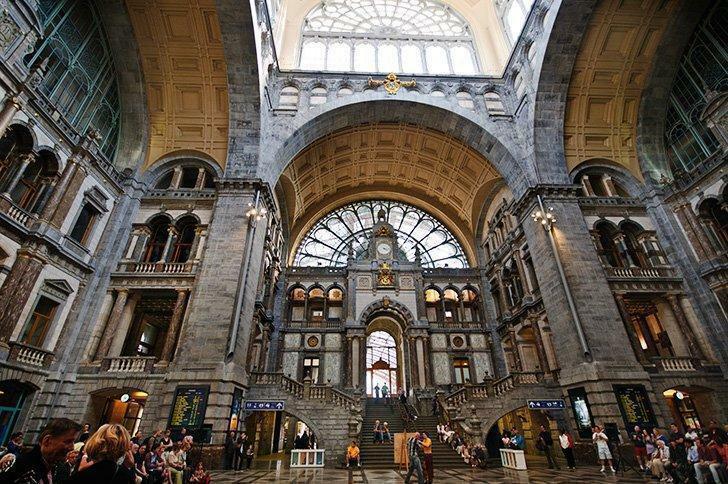 If you arrive in Antwerp via train, you’ll be entering one of the most beautiful train stations in Belgium. Even if you visit the city by some other form of transportation, take a moment step inside the station and admire the vast domed ceiling. On weekends there are often impromptu events in the main hall. One time I visited, a tango competition was in progress. 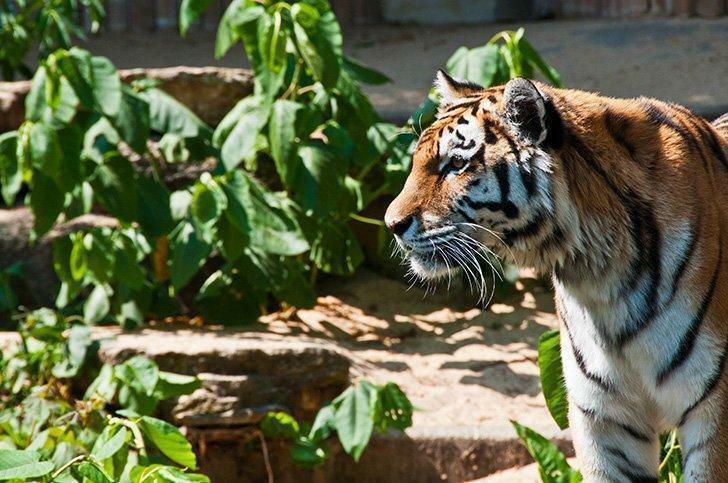 A visit the the city zoo is one of the best things to do in Antwerp with kids of all ages. As you leave the station, you will find yourself steps from one of Antwerp’s most popular attractions for families, the Antwerp Zoo. Although it is located in the city centre, it is surprisingly spacious and contains 900 different species. The Antwerp Zoo is the oldest animal park in the country but is continually upgrading to meet high standards for their animal enclosures. My favourite areas included Nocturama, containing nocturnal animals and the monkey house. If you are peckish after your visit to the zoo, or you’d just like to see another side of the city, just around the corner is Antwerp’s Chinatown. Pass under the ornate gate with two lions guarding the entrance to Van Wesenbekestraat. Besides many Chinese restaurants and grocery shops, you’ll also find Japanese, Korean, Vietnamese, Thai and Nepalese options as well. Antwerp’s Diamond Quarter (Diamantkwartier), also known as The Square Mile, is the heart of the world’s diamond exchange. More than 16 billion UDS in polished diamonds pass through Antwerp’s exchanges every year. This area is also the heart of the city’s Jewish community who traditionally dominated the diamond trade (although these days traders include Jain Indians, Maronite Christian Lebanese, and Armenian dealers). 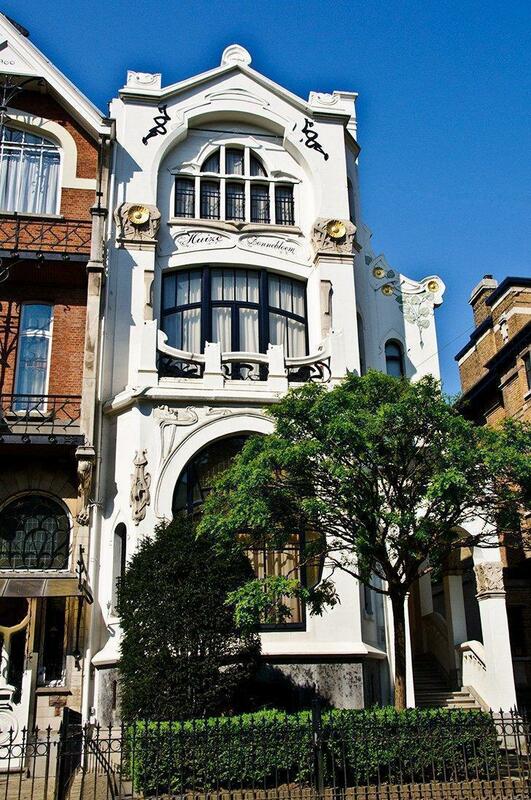 Brussels may be synonymous with Art Nouveau, but Antwerp has its fair share of beautiful buildings too. In fact, for the busy visitor, a trip to the Zurenborg neighbourhood offers more stunning architecture per square metre, than traipsing around the buildings spread all over Brussels. Besides beautiful examples of Art-Nouveau, you will also see many different ‘revival’ architectural styles like Gothic Revival, Neo-Renaissance, Greek Revival, Neoclassical, and British Tudorbethan. An hour will give you plenty of time to wander through these lovely streets, but don’t be surprised if you meet up with a tour group or two, especially on sunny weekends. If you are accessing the city by train, get off at Antwerp–Berchem station. Cross the street, and you will find yourself at the start of Zurenborg. The main roads of interest are Cogels-Osylei, Transvaalstraat, Waterloostraat and the surrounding side streets. Read our full article here. 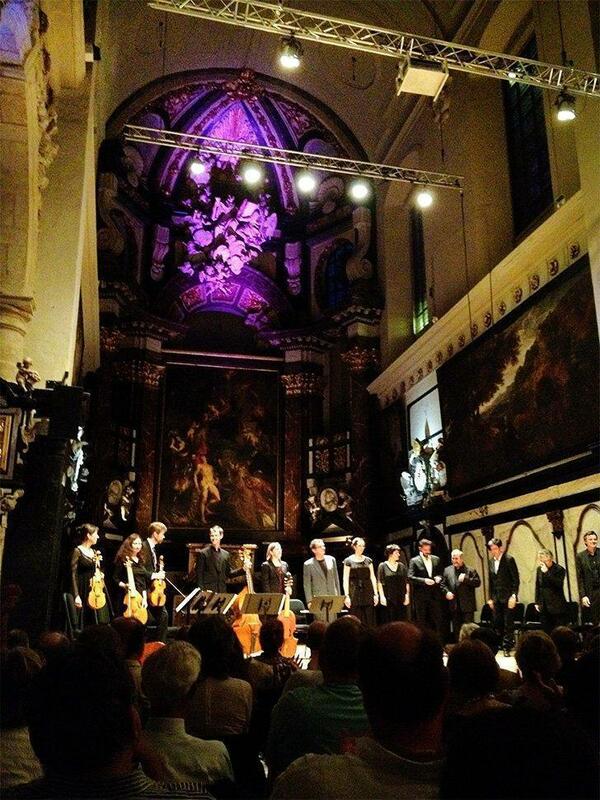 If you’re wondering what to do in Antwerp at night, why not enjoy a classical concert at the AMUZ concert hall? If you enjoy classical music, don’t miss catching a performance at the stunning AMUZ Concert Hall in the former church of St Augustine. If you visit in late August, be on the lookout for the Laus Polyphoniea Festival. The setting truly compliments the music and experiencing a show here is a unique and moving experience. Read our full article here. The Plantin Moretus Printing Museum is the only museum on the UNESCO list and is one of the best museums in Antwerp. While it may sound a bit dry and boring, this under-rated museum is such a gem, UNESCO recognised it as part of the Memory of the World Programme in 2005. 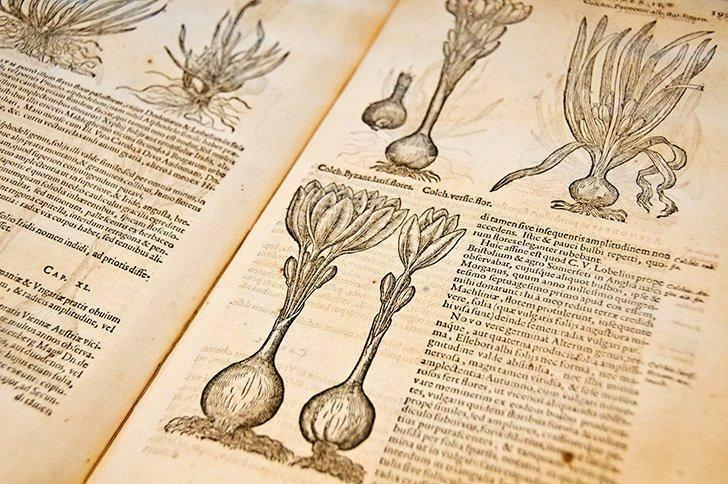 The collection of rare books and manuscripts, as well as the world’s oldest printing presses, not to mention the beautiful house and garden, are but a few reasons not to overlook it. For a much more detailed description, read about our visit to the Plantin Moretus Printing Museum. If you love books or typography, this museum is not to be missed. One of Antwerp’s most famous residents was Baroque painter, Peter Paul Rubens. His beautiful Italian-style villa is now a museum, where you can visit his former home, studio, and beautiful Baroque garden, all of which he designed himself. Rubenshuis contains many paintings by Rubens and his contemporaries and also hosts temporary exhibitions. There are plenty of things to see in Antwerp’s Museum aan de Stroom Visible Storage collection. Antwerp’s striking MAS, short for Museum aan de Stroom or Museum by the River, is an architectural icon in the port area since its opening in 2011. Stepping inside the MAS is like visiting several Antwerp attractions in one. The MAS serves as a museum of Antwerp’s history but also tells the broader story of the area’s maritime history. 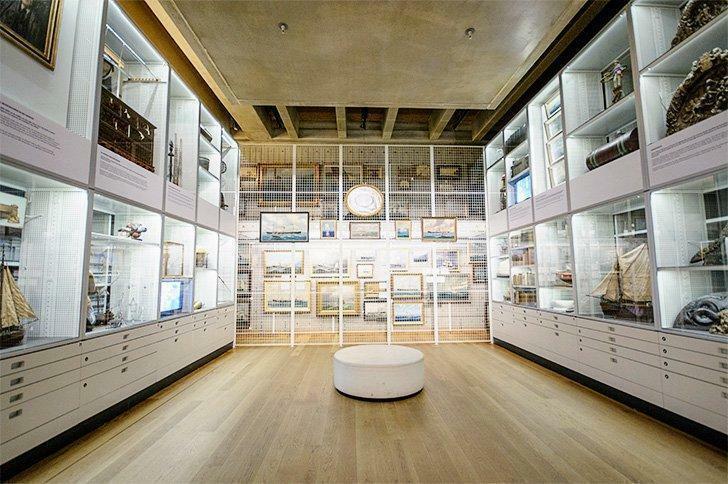 There is a fascinating section on life and death and how it is honoured around the world, and the Visible Storage area provides visitors with a behind-the-scenes look at the museum’s collections. The MAS’ observation deck offers one of the best views of Antwerp’s old town and a glimpse of a unique work of art that can only be seen from above. 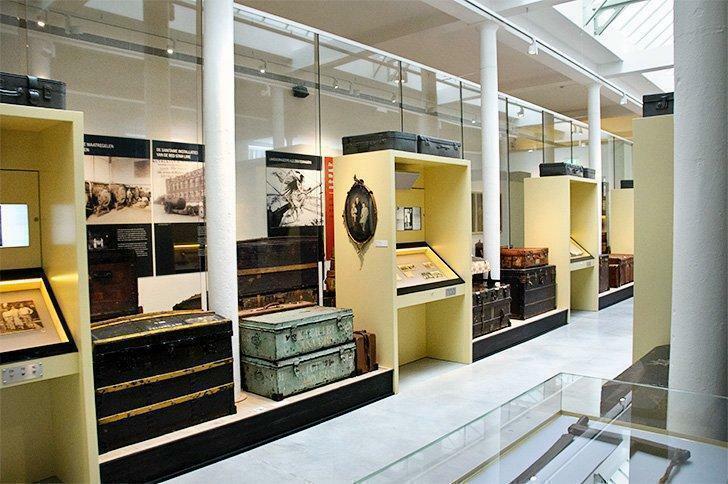 The Red Star Line Museum tells the story of the Europeans who left for North America via the port of Antwerp. As a port city, Antwerp has seen all many of cargo come and go. None has been more dramatic than the waves of Europeans seeking a better life in North America, many of whom were Jews fleeing certain death. The Red Star Line Museum tells the story of those who set sail from the port of Antwerp, not knowing what awaited them on the other side. It should be on the ‘must visit’ list for all expats and descendants of immigrants, so we never forget the struggle our ancestors made on our behalf. Read our full article here. 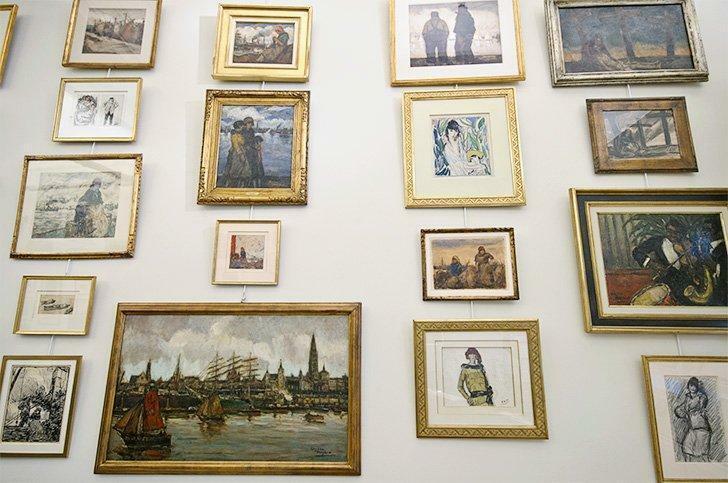 The Van Mieghem Museum is an off-the-beaten-path gallery of Antwerp’s port history. For additional insight into the lives of those who emigrated from the port of Antwerp, it’s worth visiting the tiny Van Mieghem Museum near Het Steen. Eugeen Van Mieghem wasn’t one of the 2.7 million emigrants to head for America on a Red Star Line ship, but he was integral to documenting their passage through Antwerp with his paints and pastels. Read our full article here. Photo-lovers shouldn’t miss a visit to Antwerp’s photography museum, FoMu. The permanent collection includes cameras and photographs from their beginnings to present day. There are photographs from legends like Henri Cartier-Bresson, Man Ray, and Lynne Cohen to name a few. In addition to the impressive collection of 183 daguerreotypes, there are ever-changing temporary exhibitions of contemporary photography as well. Antwerp is famous for cutting-edge fashion. The Antwerp Six (Walter Van Beirendonck, Ann Demeulemeester, Dries van Noten, Dirk Van Saene, Dirk Bikkembergs and Marina Yee) all graduated from the city’s Royal Academy of Fine Arts in 1980-1981 and are renowned in the world of avant-garde fashion. If you have money to burn on the latest styles, head to Kammenstraat and the surrounding side streets. You will find Dries van Noten’s flagship store here. If you don’t have the budget to shop for clothes you can still admire them at Antwerp’s fashion museum, MoMu, located nearby. Doel is one of the best day trips from Antwerp for those who like urban exploring and weird destinations. 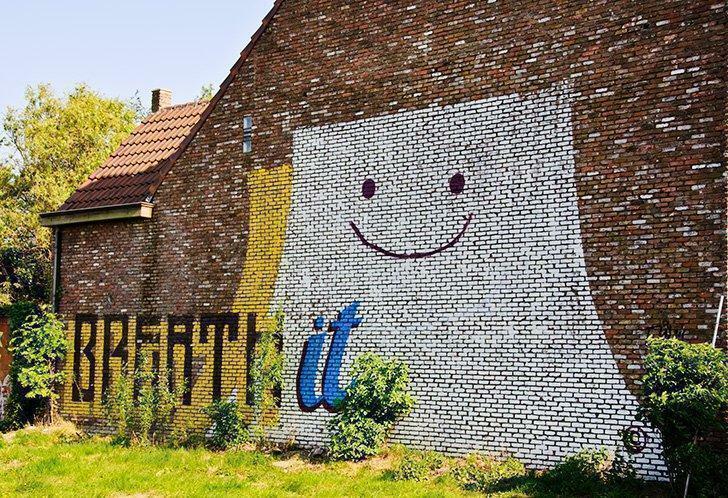 If you are keen on street art or abandoned places, the village of Doel is worth a visit. Doel is home to a nuclear power plant with the dubious honour of being first on the list of nuclear plants in Europe surrounded by densely populated areas. The village was also slated for demolition in 2007 for port expansion, but so far, has managed to remain – sort of. The town of Doel has been mostly abandoned, although there are a few stubborn folks who refuse the buyouts offered to expand the city’s port. Doel has become a canvas for graffiti artists, poets, and those who just come to see it before it disappears. There is a strange disparity between the still busy local pub and nearby children’s play area and the cooling towers billowing steam in the background. 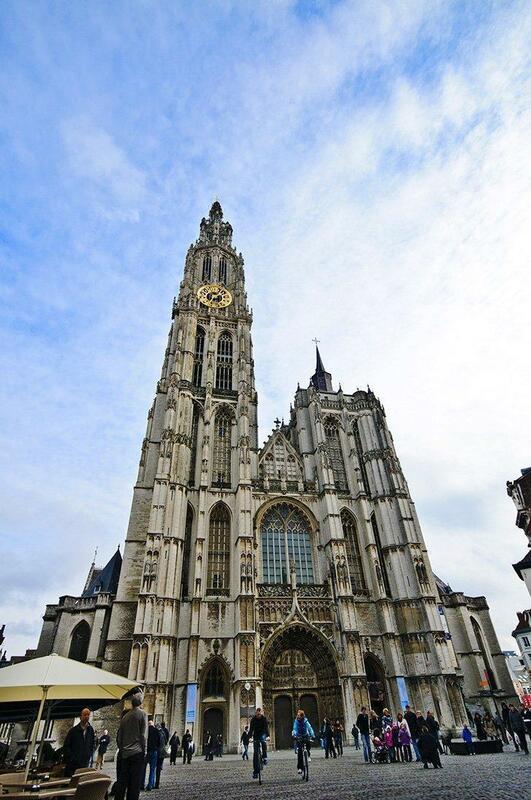 Mechelen is almost equidistant between Brussels and Antwerp and is often overshadowed by these larger cities. But this bustling Flemish city makes a great day-trip destination with its compact historic centre. Be sure to Hike to the top of the UNESCO listed belfry for a commanding view of the surrounding area. If you’re looking for a great family-friendly activity, a visit to Technopolis is one of the best things to do with kids in Belgium. This hands-on science museum is fun for all ages. Read our full review of Technopolis. Our favourite hotel in Mechelen is Martin’s Patershof, inside a former church. Consider extending your stay in Mechelen with an overnight stay at one of Belgium’s most unusual hotels. Martin’s Patershof in central Mechelen is situated inside a former church. Our stay here was one of our most memorable hotel stays in Belgium. Read our full review here or check the latest prices now. Het Pomphuis is one of the best restaurants in Antwerp’s dockyard area. As the Flemish name suggests, Het Pomphuis was originally a vast pumping station for the dry dock. In 2002, it reopened as a modern bar and restaurant. Het Pomphuis maintains its original high ceilings and industrial feel while serving a high standard of delicious food in a warm atmosphere. Just around the corner from the UNESCO-listed cathedral is the Kathedraal Cafe, otherwise known as Het Elfde Gebod (The Eleventh Commandment). It’s a fun if quirky spot to savour a Trappist beer or enjoy a traditional Flemish dish. While you dine, you’ll be watched over by more than 400 religious icons. 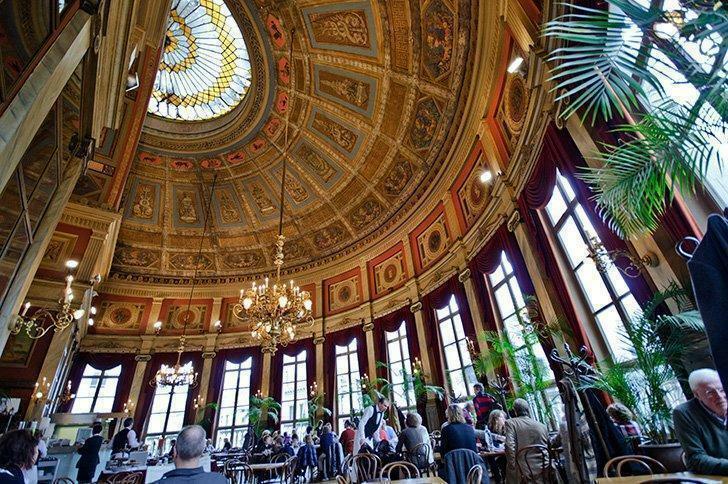 De Foyer is a wonderful place to grab a coffee in Antwerp or enjoy Sunday brunch. Trekking around Antwerp can be exhausting, so reward yourself with a coffee and dessert, in beautiful surroundings. The Bourla theatre’s cafe, De Foyer, is in a stunning high-ceilinged cupola. The Sunday brunch is also a popular event, so be sure to book ahead. 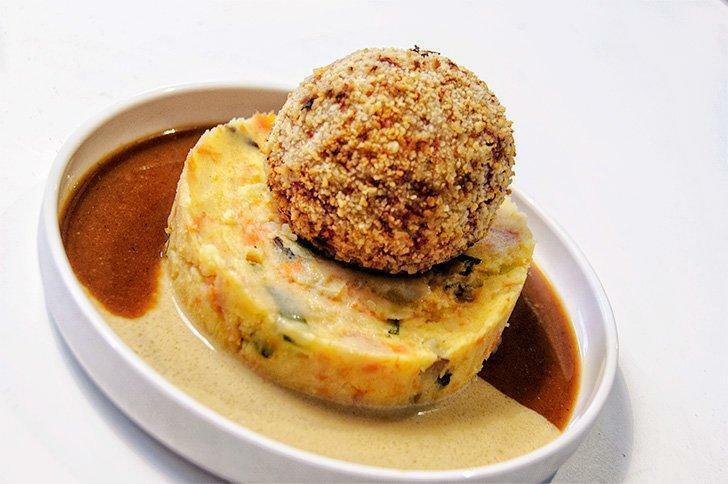 Balls & Glory offers a new twist on a Flemish classic dish. Balls & Glory’s homemade meatballs have become a phenomenon across Belgium over the past years. You can enjoy a taste of the original restaurant near the MAS in a cozy setting. The giant meatballs have a variety of filling and are served with stoemp a classic veggie mash. Meals are hearty, affordable, and delicious. Read our full review. 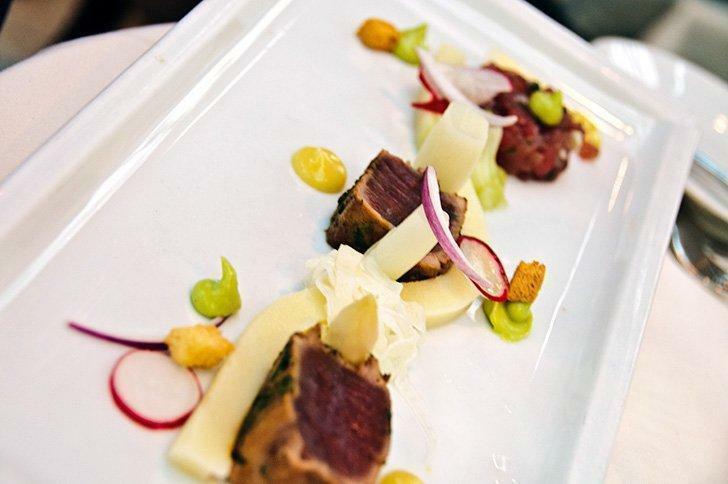 For an enjoyable meal in historic surroundings, a meal at the Grand Café Horta is an unforgettable experience. Named after the father of Belgian Art Nouveau, Victor Horta, the Grand Café has preserved the stunning beams taken from one of Horta’s building that was demolished in Brussels. The café is open and bustling, and the Sunday brunch is not to be missed. The best Belgian chocolate shop in Antwerp has to be The Chocolate Line. It’s impossible to mention food in Antwerp, without discussing Belgium’s most popular edible export, chocolate. 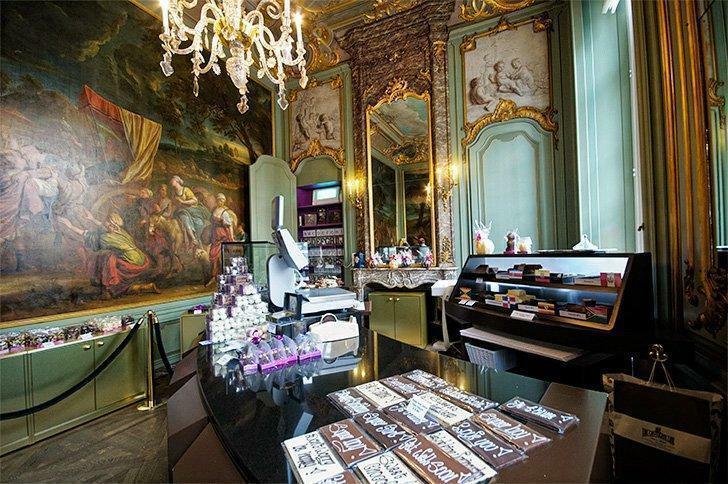 We’ve previously written about three great chocolate shops in Antwerp. If you only have time to visit one, make sure it is The Chocolate Line, the Antwerp home of Belgian ‘Shock-o-latier’ Dominique Persoone. Persoone’s unique (and sometimes strange) flavours are worth the decadent price tag, but the beautiful setting in Antwerp is worth a visit in its own right. The shop is found on the ground floor of the ornate, Paleis op de Meir; the 18th-century palace was owned by Napoleon, King William I of the Netherlands and King Leopold II. While Antwerp makes an easy day-trip from most major Belgian cities, it’s well worth basing yourself here for a few days to make the most of your stay. Ensconce yourself in luxury in a 19th-century Flemish mansion. 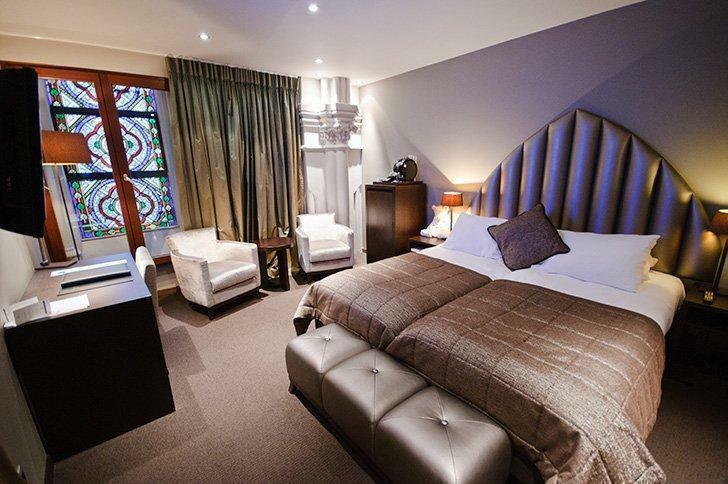 B&B De Witte Nijl is set in the trendy Het Zuid neighbourhood and is a perfect choice for couples wanting to make the most of Antwerp’s vibrant cultural scene. For all the amenities, including a fantastic breakfast, this B&B is a great value and gets top marks from reviewers for both quality and excellent service. Check the latest rates now. 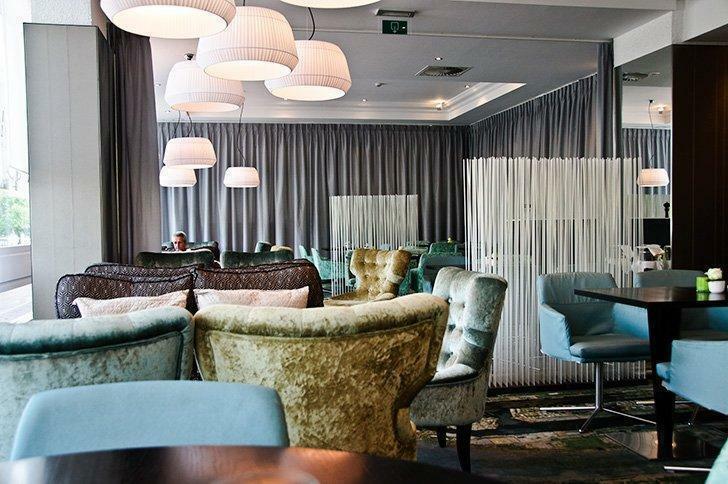 The Crowne Plaza Antwerpen is one of the best hotels in Antwerp for a mid-range budget. If you are travelling to Antwerp for business as well as pleasure, or you simply want the amenities of a full-service hotel at a reasonable price, the Crowne Plaza Antwerpen, just off the ring road makes a great choice. We enjoyed the trendy décor and local touches like the Antwerp themed art in the common areas. There is also an infinity pool, sauna, and steam room, as well as a full-service restaurant. Best of all, there is hourly shuttle service to Zaventem International airport and ample free public parking nearby. Check the latest rates now. 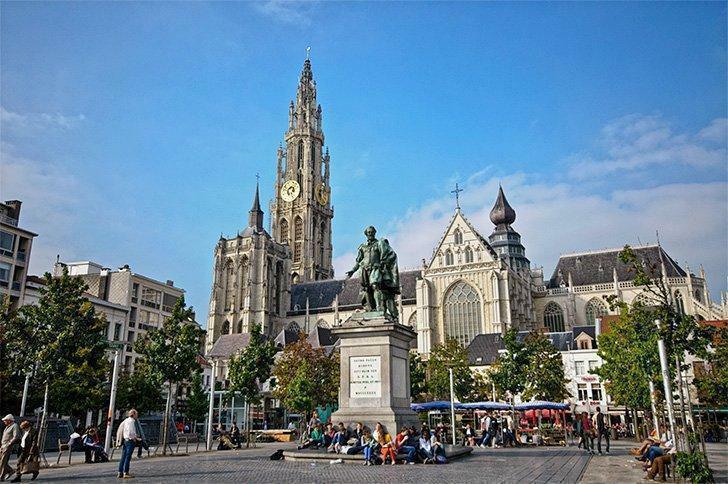 Smack in the heart of Antwerp’s historic centre, with a view of the UNESCO-listed cathedral, you can’t find a better location than HotelO Kathedral. Their four-person family room is a great option for those visiting Antwerp with kids. Enjoy a trendy décor with super comfy beds and all the amenities you could want. Some rooms even enjoy a stunning view of the cathedral. Check the latest rates now. If you’re travelling to Antwerp on a budget, save your pennies at the Kabas Hostel. You can choose shared accommodations in a 6-person mixed bunk room or opt for a private room with a shared bathroom. All guests have use of the communal kitchen and garden, complete with BBQ and chickens. Check the latest rates now.